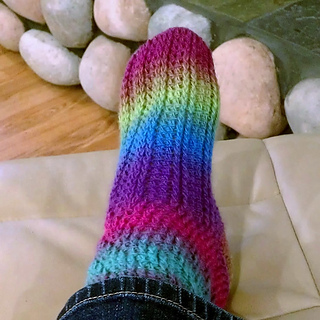 Who says socks have to be knit? 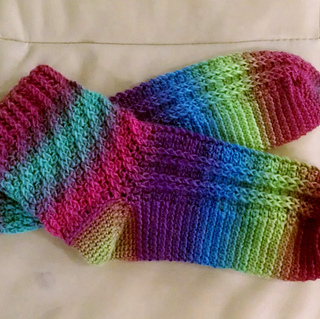 Crocheted socks are just as much fun to make and wear! 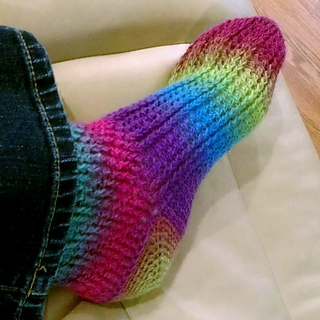 The ladder stitch on the top of the foot and the cuff is created with front-post double crochet stitches; they are worked in a straight line on the top of the foot, but spiral around the cuff. 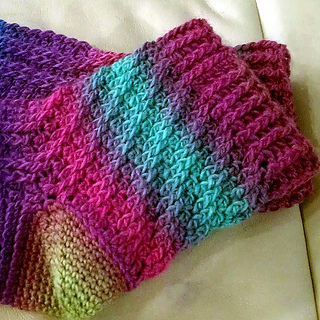 The cuff length can be customized to personal preference.